This handbook is part of the scope of the technical assistance project for solid waste management in Curitiba/Brazil. The project is carried out by ABRELPE, the Brazilian Association of Public Cleansing and Waste Management Companies, with the financial resources by the Climate and Clean Air Coalition through the Municipal Solid Waste Initiative. This is one of the outcomes from project activity 2 – “Enhancement of Communication and Awareness Actions on Municipal Solid Waste (MSW) Management Towards Mitigation of SLCP Emissions”. 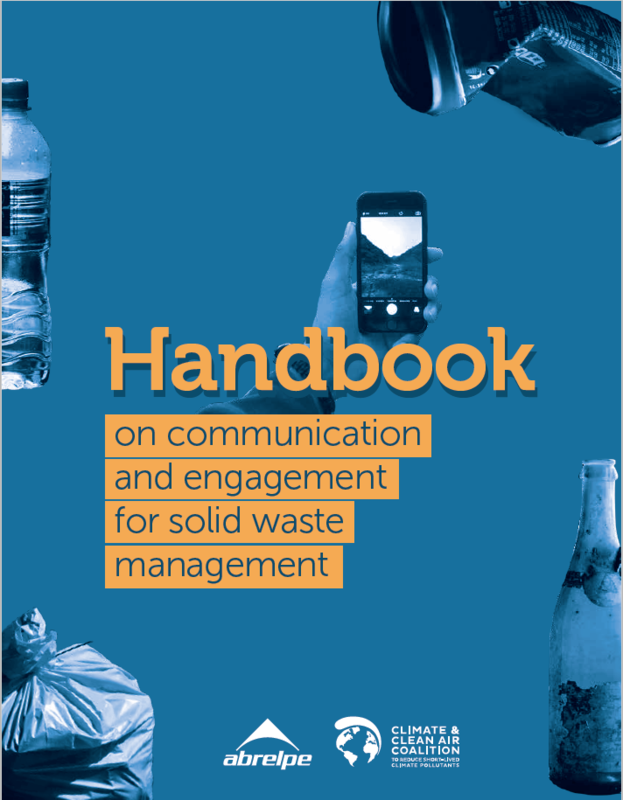 Among other inspirations, this handbook is based on the presentations from the workshop on "New Communication Practices for Municipal Solid Waste Management", which is also an outcome of project Activity 2. The workshop gathered experts and government officials from municipal, national and international levels that work with communication for MSW management. This handbook aims to provide municipal managers with considerations, concepts and state-of-the-art tools to engage their citizens and other actors to fulfill their responsibilities within MSW management, from ethical consumption to a better destination of MSW.